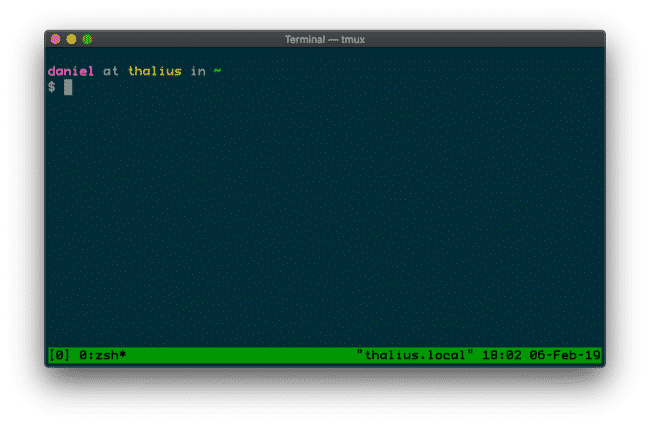 tmux lets you keep things running persistently on servers, so you can disconnect and connect as needed without interrupting tasks that are in progress. Use-cases: compiling code, running security scans, etc. It’s best to install tmux using your existing OS package management options. If you invoke tmux by itself, you’ll get dropped into a new session. And if you exit this session, you drop right back into your normal shell. The ctrl–b shortcut is good to memorize. Creating named sessions lets you reattach more easily. You want a pause between the shortcut and the following command. To detach from a session you invoke the shortcut (ctrl-b)—followed by d, for detatch, or by typing detach explicitly. Consider remapping CAPSLOCK to CONTROL in your OS to make this easier. 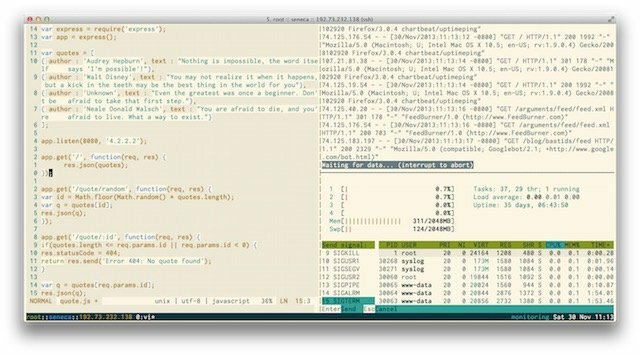 You can—and often will—have multiple tmux sessions on a single system, so you want to be able to see what they are. You can also show sessions using the shortcut ctrl–b–s. Now that we can see those sessions, you can either connect to one by session name, or by number. The session names start at 0 and increment upwards. tmux a will connect you to the first available session. There are times when you’ll want to destroy a session outright, and that can be done similar to attaching to one. You can also kill tmux altogether with killall tmux. I don’t use this functionality myself. Another feature of tmux is the ability to break your session into more discreet components, called windows and panes. These are good for organizing multiple activities in a logical way. 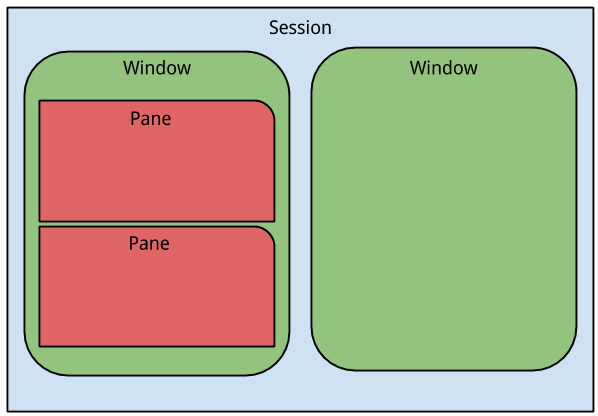 Basically, tmux sessions have windows, and windows have panes. Here’s how I conceptualize the structure. These all play off of the ctrl-b shortcut. Here are a few tips I’ve picked up over the years using tmux. Consider using as few sessions and windows as possible. Humans aren’t as good at multitasking as we think we are, and while it feels powerful to have 47 panes open it’s usually not as functional as you’d imagine. When you do use windows and panes, take the time to name them. They are indeed useful, but switching between sessions and windows is supremely annoying when they’re all labeled 0, 1, and 2. Start with a basic config and get used to it before you get silly with it. I’ve seen multiple people spend hours configuring vim or tmux only to confuse themselves and abandon the project altogether. Start simple.